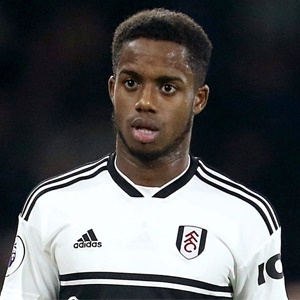 Cape Town - Tottenham Hotspur are reportedly tracking the progress of Fulham winger Ryan Sessegnon, with a view to making a big-money offer for the promising youngster in the off-season. Spurs have been tracking England Under-21 international Sessegnon for over a season now and the Londoners are ready to make their move this summer to land the 18-year-old. With the Cottagers looking destined for the drop this season, plenty of clubs are ready to take advantage of the situation and land the winger, who can also play at left-back, in a cut-price deal. In an attempt to beat their competitors to the Roehampton-born star, Tottenham are ready to offer around £50million to sign Sessegnon on a permanent transfer before loaning him back to Fulham for the 2019/20 campaign. The winger, who has scored two league goals this term, has endured a difficult debut season in the Premier League but he is still one of the most highly-rated youngsters in England.